With concerns growing about rising crime and stretched police resources, Richmond Council has agreed an extra £100,000 cash injection for community safety in the coming year’s budget. At last night’s Council meeting, Cllr Robin Brown, the Council Cabinet Member for Finance, announced the additional funding as part of the 2019/20 budget debate. 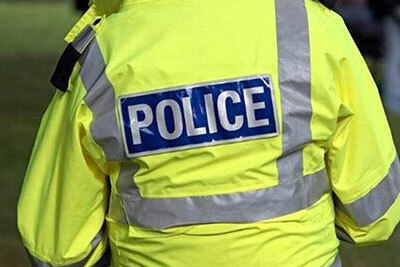 This follows a rise in local concern about crime levels across the borough. Despite perceptions, Richmond upon Thames remains one of the safest boroughs in London. From January 2018 to January 2019 there was a 4.5% reduction in total offences reported in the borough, compared to the previous 12 months. This includes reductions in antisocial behaviour, burglary, moped crime and theft from a motor vehicle. However, at the same time there has been an increase in the number of robberies reported, with 365 incidents over the past year and an increase in serious youth violence, where there were 139 cases of serious crimes involving young people under 24 years old. The borough continues to perform well when compared with other London boroughs, with Richmond having the 2nd lowest rate of knife crime in the capital and the 6th lowest in London for robbery. This one-off cash boost will enable the Council’s Community Safety Service to develop further measures to complement the local Police’s efforts to tackle crime and antisocial behaviour, and importantly, the funding will be used to fund initiatives that will bring communities together. Specifically, the investment will be spent in part on supporting and developing Neighbourhood Watch. In partnership with the Safer Neighbourhood Board, a new, secure digital platform will be set up to improve communication and information alongside crime prevention advice. This will make the most of what is already an extensive neighbourhood watch network, that works hard to keep people safe and informed. In addition, there will also be more work to target those known offenders who commit the most crime, to reduce their offending and take enforcement action. Crime prevention and presence at community events will also be increased, focussing on those crimes such as burglary, vehicle crime and robbery which we know are key concerns for residents. “It is a fact that we are a safe borough. However, in recent months we have seen a spate of crimes that have shocked many local communities. “There are a host of reasons for these crimes. However, one thing is clear – our local police force are under-funded! “Our local police work so hard to keep us safe. But, they can only work within the resources they have. They are stretched due to year on year funding cuts from Government and the Mayor of London.